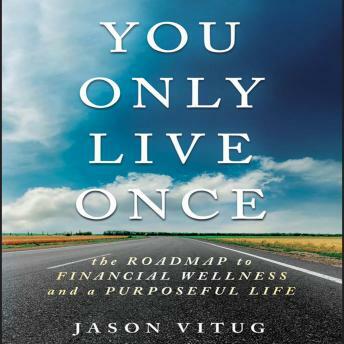 You Only Live Once is the guide to achieving your best life through smart money moves. Before you even begin making a budget, you need to think about why. Where do you see yourself financially in ten years? Five years? This time next year? What does money do for you? Once you know your destination, you can begin charting your course. Step-by-step guidance walks you through the budgeting process, and shows you how to plan your financial path to point toward your goals. You'll learn how to prioritize spending, how to save efficiently, and how to take advantage of simple tools you didn't know you had. Next comes the most important part: taking control. You need to really look at how you perceive and use money day-to-day. Chances are, changing a few habits could give you some breathing room and help you reach your goals sooner. You work hard for your money, yet there never seems to be enough. You don't need to live like a pauper, but you need to be truly aware of just where your money is going, and why. Financial awareness is the key to a financially secure future, and this audiobook unpacks it all to help you get where you want to go. You know you need a budget, but you never seem to get around to doing it. Or maybe you did, but you can never seem to stick to it. Smart planning is a major factor in financial security, and it involves just as much introspection as math. You Only Live Once is more than a budgeting guide-it's a guide to revamping your financial behaviors to achieve the life you want.